How much does healthcare cost in your state? Find out here. The health insurance debate has taken a backseat since President Trump’s inauguration (the threats of Russian cyber attacks, climate change, nuclear war, and regular war tend to drown out everything else), but there are still millions of uninsured Americans. To make things worse, the real cost of healthcare varies considerably for Americans depending on which state they are living in. 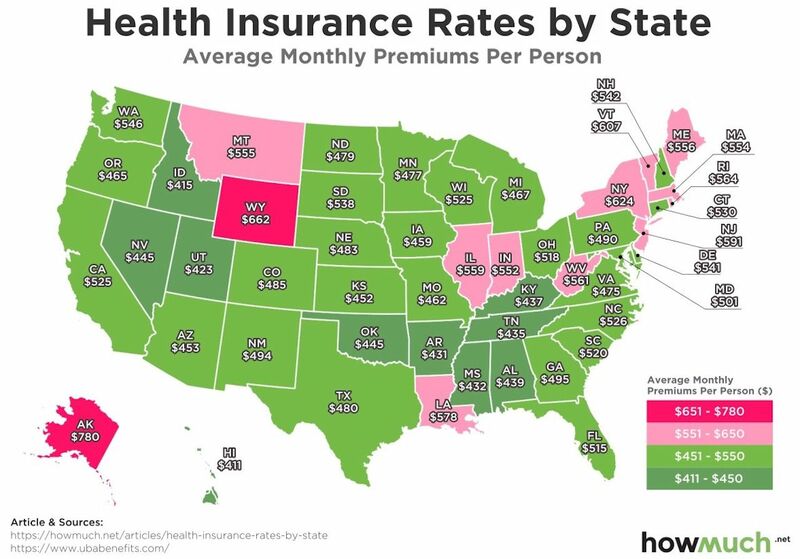 A new pair of maps from HowMuch.net reveals that insurance premiums can vary from $415 per month in Idaho to $662 in Wyoming. 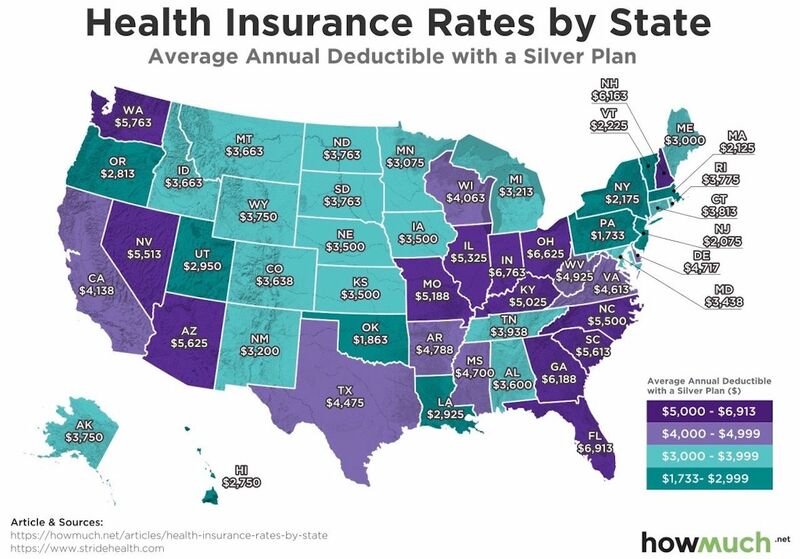 At the same time, someone living in Oklahoma might have an annual deductible of less than $2,000 USD, while a neighbor in Texas can expect to spend more than twice that with a silver plan.